Carpeted flooring beautifies homes and makes commercial and business interiors look more put-together. Aside from improving the aesthetics of a space, the right carpet serves multiple purposes, including improving comfort, filtering indoor air and reducing noise. However, not just any carpet will do – it helps to know how to identify the right carpet for your needs and invest in a high-quality carpet if you want to really enjoy the benefits a carpet brings. This is especially true for the carpet that you’ll be using in properties situated in high altitude locations such as Mt. Buller. The alpine region is famous for the generous snowfall it receives during the winter seasons which transforms its landscapes into a winter wonderland. Even in warmer months, the cool temperature makes Mt. Buller mountain resorts the perfect venues to escape the summer heat. But the same climate that makes Mt. Buller a must-see destination can be harsh to your carpet, especially if it’s made of inferior materials. It makes sense to pay extra and invest a little more in a higher calibre carpet, Mt. Buller premium carpet experts say, to ensure the carpet remains in good condition for longer and will serve you better for the long term. Improved appearance of your interiors. It’s easy to spot a cheap carpet, with its thin fibres and bleak colours. Meanwhile, the addition of a premium carpet is a fast and easy way to instantly enhance the appeal of your place and create the exact style you want for a room. Higher comfort level. Putting a carpet that offers the right thickness and cushion over hard surfaces such as concrete or wood flooring adds warmth to your home. It also makes standing and walkingeasier on your feet and your back, especially when you usually work standing up such as when cooking or doing hobbywork. Better slip protection. If you have small children, elderly family members or household members with mobility issues, investing in a premium carpet is a must. A good-quality carpet will have the ability to prevent slips and cushion the impact of falls should they happen. Practical noise absorption. 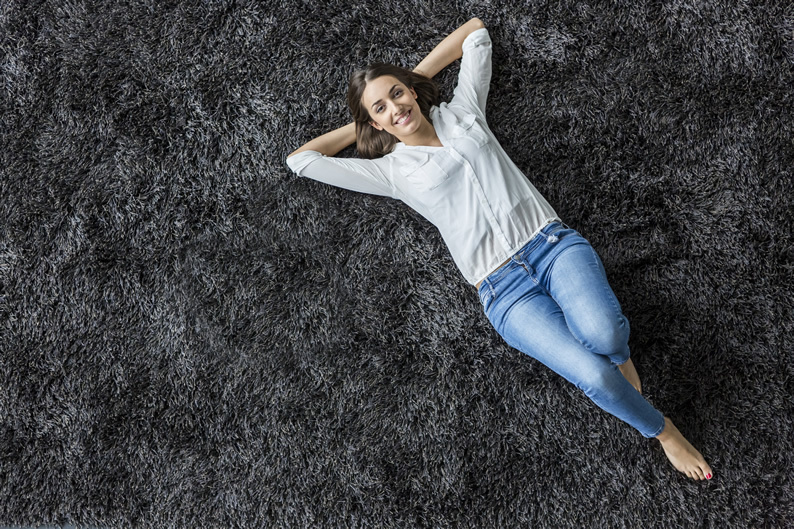 Whether the noise comes from the neighbours or from your own household, you can rely on premium carpeting to absorb a significant volume of the noise, allowing you to enjoy more privacy and a more relaxing living space. Superior indoor air quality. A good carpet can preventdust and allergens from going into the air you breathe, thanks to the ability of its quality fibres to trap these foreign elements. A cheap carpet does the opposite – a simple movement can already distribute dust all over your interiors. If you care about living in healthier living spaces, make sure to invest in premium carpet that can immobilise particles that can be bad for you and your family’s health.